Sometimes I’m not sure how I should feel about seeing produce that is on sale when it’s not in season. Usually, that’s when out-of-season produce is most expensive. So when I saw that bundles of asparagus were on sale at my grocery store, I had to wonder if something was wrong with them. But at this point in the fall, I can only eat so much broccoli. This asparagus looked perfectly green and the spears were nice and thin, the way I like them so I scooped them up. 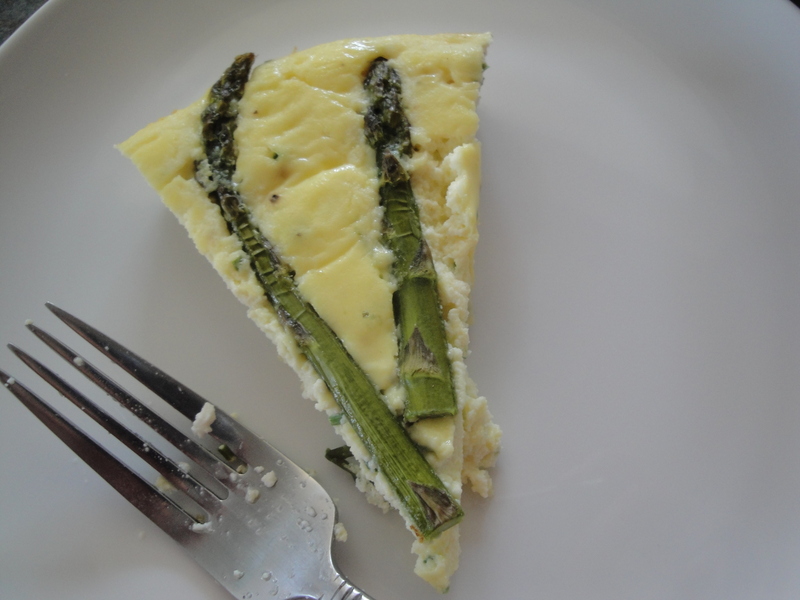 This recipe for Asparagus-Ricotta Tart was a perfect fall-time use for them. 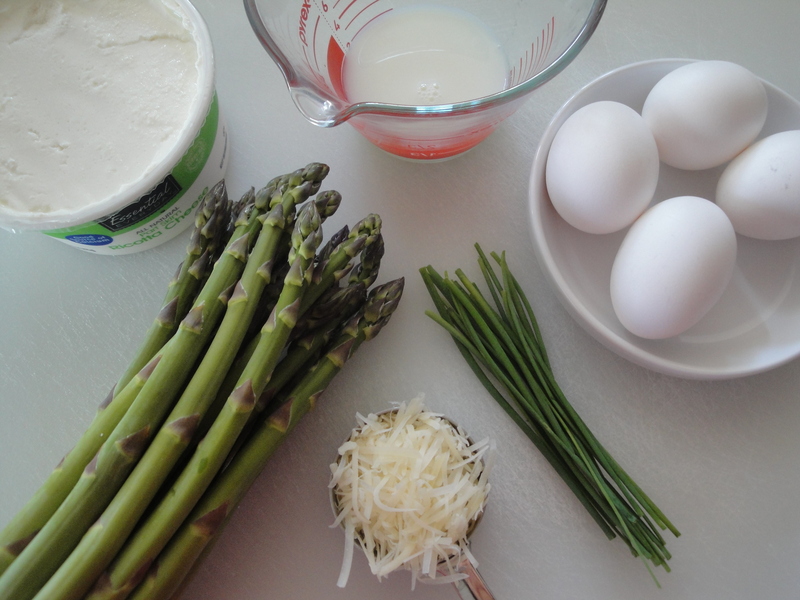 Eggs are mixed with ricotta and Parmesan cheeses, milk, chives, salt and pepper and poured into a pie pan before being topped with trimmed asparagus spears and baked until set and golden. 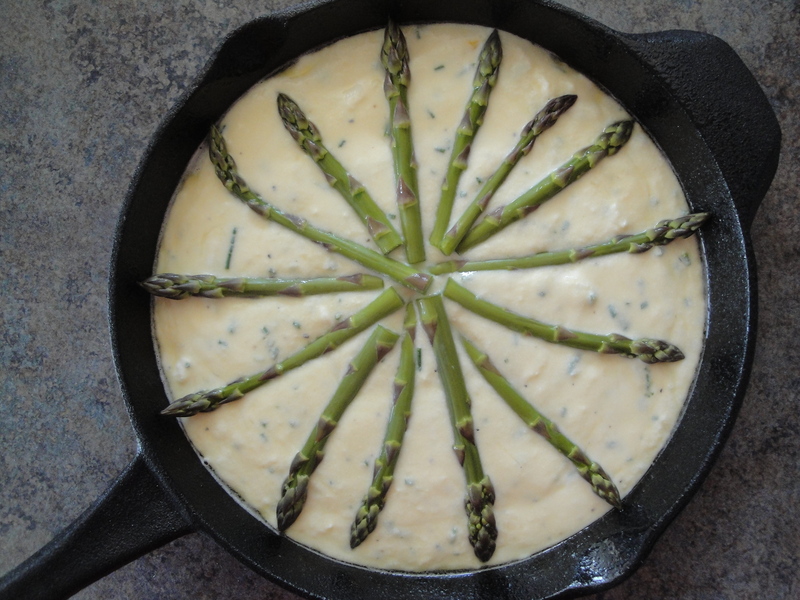 Don’t like asparagus or have another veggie on hand? Use whatever vegetables float your boat here: peppers, broccoli, spinach or potatoes would work perfectly either scattered on top or mixed in with the eggs and ricotta. This is a perfect weekend morning meal served with some fruit or even a busy weeknight meal served with a salad thanks to its ease. Leftovers store perfectly in the fridge for a few days making this an easy make-on-the-weekend-for-weekday-grab-and-go breakfast. 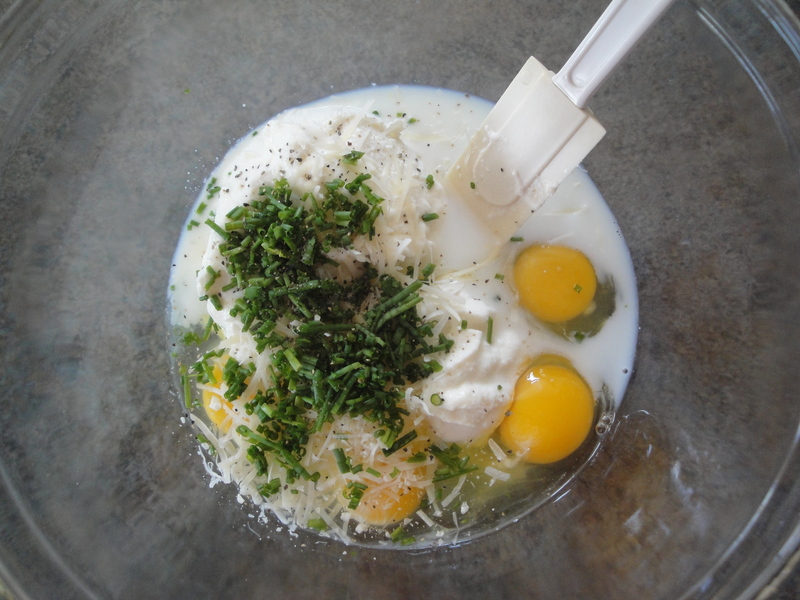 Mix ricotta, eggs, Parmesan cheese, chives, milk, salt and pepper in a large bowl. 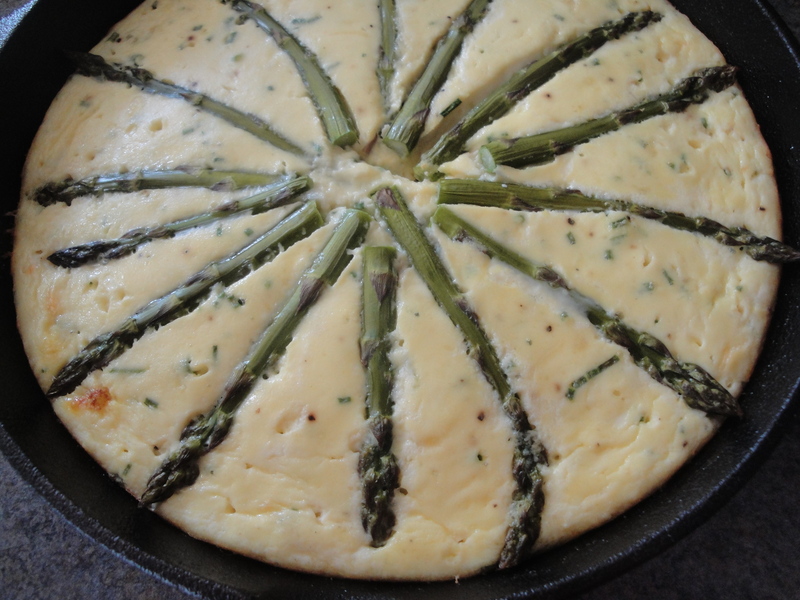 Pour mixture into a 10-inch nonstick oven-safe skillet. Bake in 375 degrees F oven for 40 minutes.